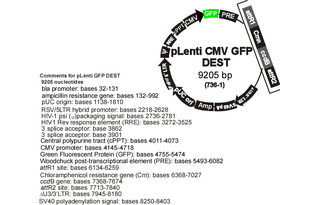 GFP cDNA derived from pEGFP-C1 (Clontech). There are minor discrepancies between Addgene's quality control sequence and the reference sequence provided by the depositing lab. 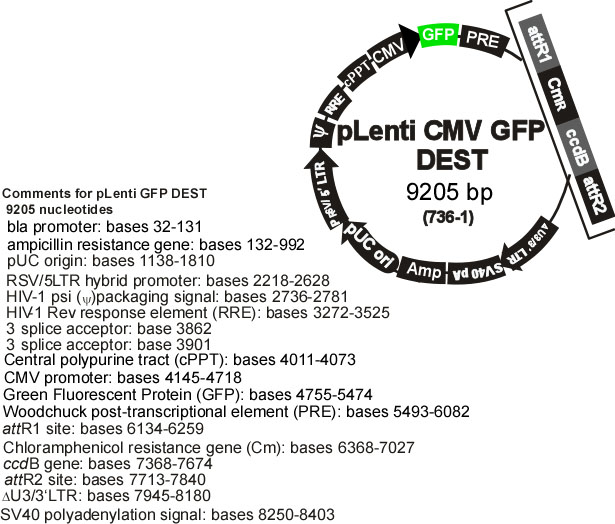 These discrepancies should not affect plasmid function.